I’m Solo. 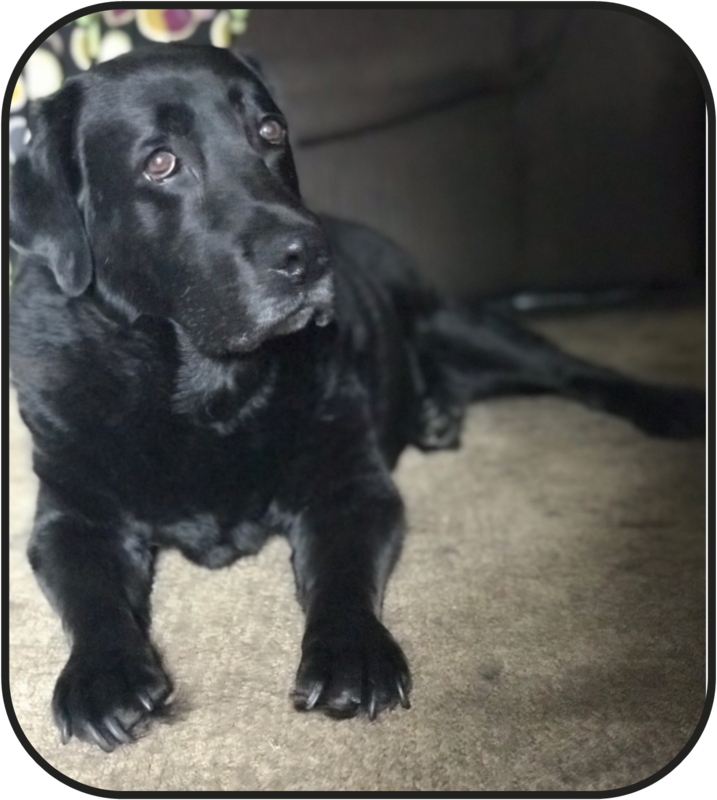 I’m an English Lab. In my younger years I loved hiking and swimming and being with other dogs as much as possible. The dog park on the river and the field behind my house were favorites. Nowadays I am a bit slower and love my afternoon naps but I still love having buddies over to play! I started my career in school to be a service dog and, well, let’s just say that didn’t work out (insert eye roll here) because they say I’m too “alpha”. It all ended well since I found my forever family! If you haven’t seen me yet, you will likely see me following around a blonde lady or behind the front desk. If I nudge you I am just hoping you’d like to pet me for a while. I’m quiet and not very fast these days. Did I mention, I am a senior too! 84 in human years! By the way my companion is case manager Julie Larson who enjoys having me at work. Donna Schultz, originally from the Barneveld area, grew up in a family of nine kids. She has lived in Verona for almost 50 years and this is where Donna and her late husband Alard raised four children. Donna has eight grandchildren and seven great-grandchildren. What Donna loves most about Verona is her neighbors, the close-knit community and the Senior Center. Donna also loves that Verona is a small community where people can walk lots of places and feel safe. Most days you can find Donna at the Senior Center, often volunteering. Donna volunteers to serve lunch, help with events and clean up after activities. “Donna is a great volunteer. In addition to what she is scheduled for, she always jumps in and helps clean up after every event we have!” said Alasa Wiest, Programs Manager. When she is not volunteering you will find Donna playing cards, attending a class, eating lunch or watching a movie. “There’s really nothing I don’t love to do,” Donna said when asked what she enjoys doing at the Senior Center. 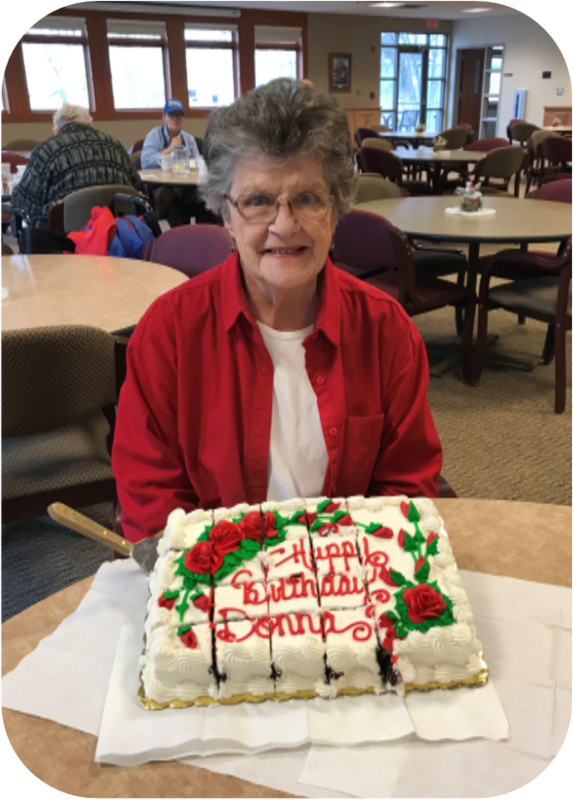 Thanks for all you do to support our Senior Center , Donna!